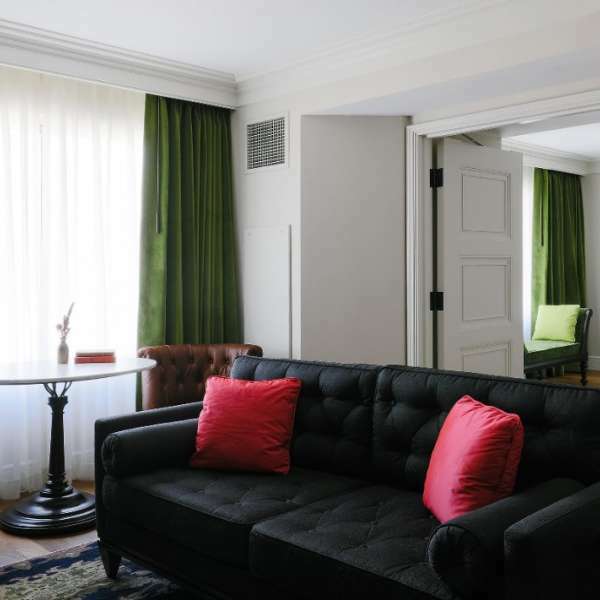 The Grande Suite offers a spacious King bedroom with a separate living area. 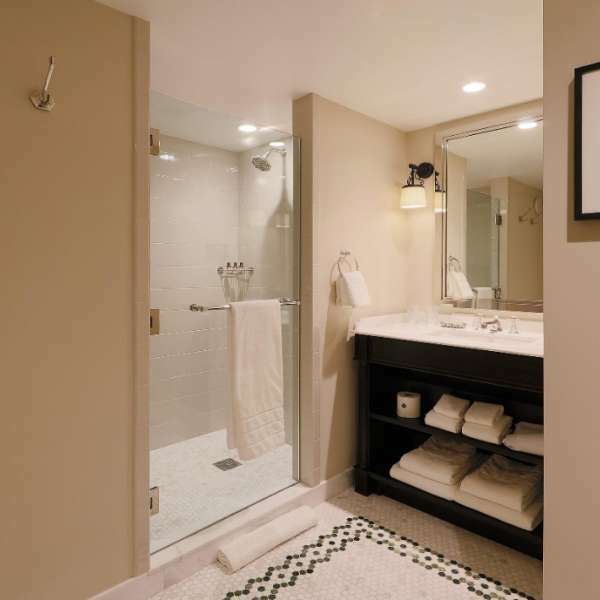 These suites provide a nod to European residential design with the water closet located in the living room, and a freestanding pedestal tub and walk in shower inside the bedroom. 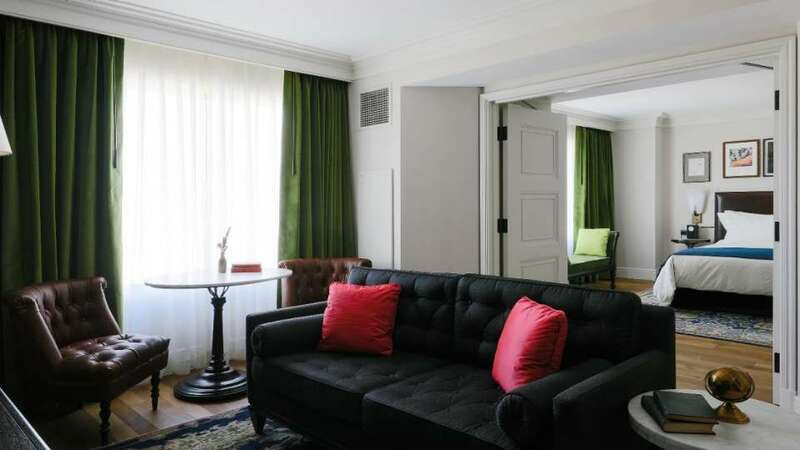 A sofa in Grande Suite at NoMad Las Vegas. 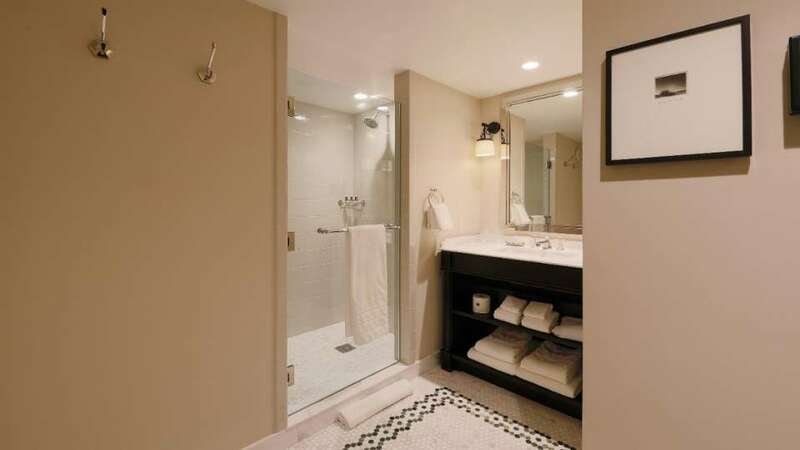 A shower room in Grande Suite at NoMad Las Vegas. Unfortunately, no seats are available. Please select another time or call 702.730.7010.